So I’ve been making these paper figures for myself for a while (they’re lining the walls of my studio), and I thought I’d make them available to everyone else. For free. Every Monday. 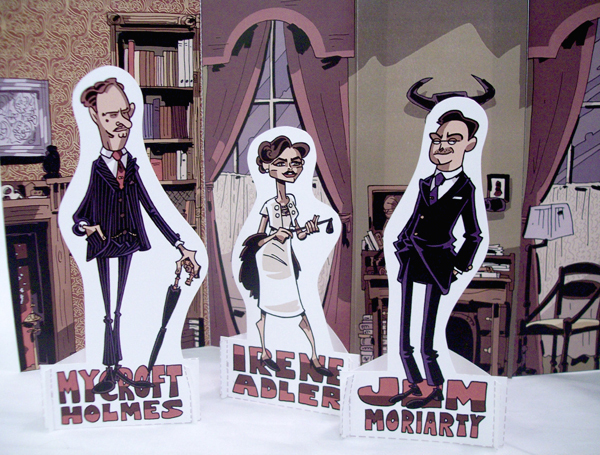 Print the figures out yourself on your own printer, or you can take them to your local print shop (that’s what I do) for the best quality. 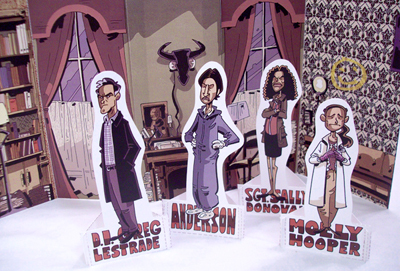 I figured I’d start with a set of figures from the BBC show SHERLOCK. If you're one of the few folks who haven't seen it yet, do yourself a favor and fix that! 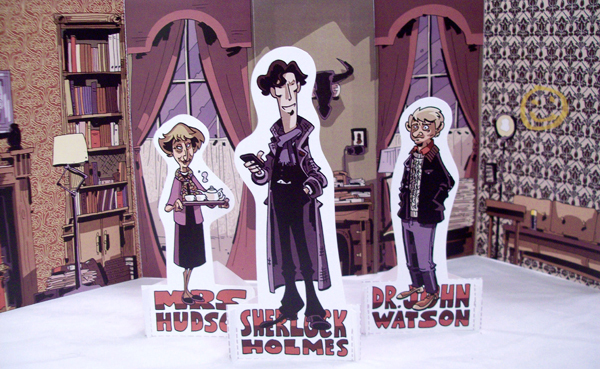 I don’t usually do backgrounds, but this set comes with a Baker Street diorama, because come on, Baker Street. Anyway, click here to download the print file. It's a little shy of 27MB, which isn't HUGE, but it probably better suited to a laptop or a desktop than a phone. If you want to get OTHER paper figure sets, just go to the paper figure page at CroganAdventures.com and pick out the set(s) you want. on tumblr. You can read the details here, but know that one of the prizes is a free paper figure commission. I know, I know... you may not be ON tumblr. I'm sorry, if that's the case! You can always sign up - it's free - if you want to enter this contest. Anyway, enjoy the figures, and check back each Monday! As always, collectors can find the original art for this and other things on my original art page.